For reservations call (888) 421–1442 or book online. If you want to stay at the Hyatt earlier or later than the block rate allows, contact us at info@sbwriters.com and we will facilitate an extension. Across the street is the Pacific Ocean and the 22-mile Cabrillo Beach walkway for runners, walkers and cyclists. Downtown Santa Barbara is within walking distance, as are Stearns Wharf and the Harbor, for more shops and restaurants. A 20% discount will be offered for lunch and dinner in the restaurant for SBWC attendees (not valid for breakfast or room service). 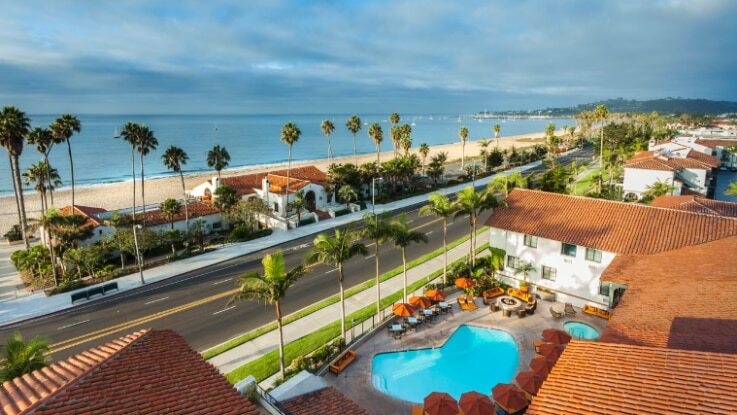 A number of other hotels and motels along Cabrillo Boulevard are just a short electric shuttle ride away. Google “Hotels near Cabrillo Blvd” if you want to explore other options.